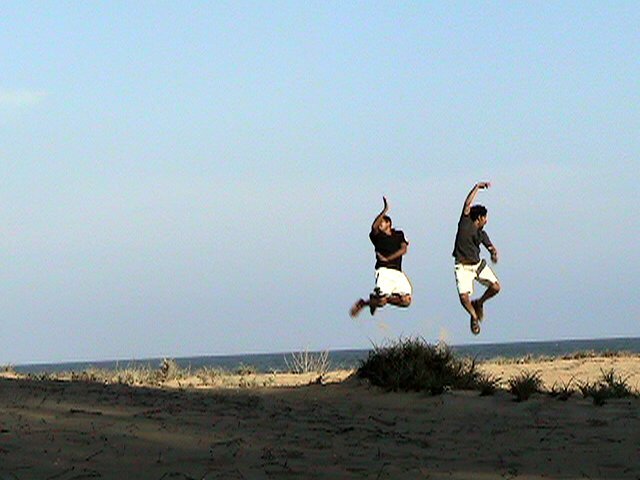 When we were coming back from Pondi, we stopped at some ECR beach. 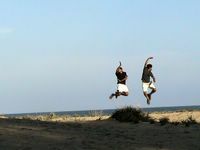 Sesh and Vikram were jumping and posing. Kalidas was shooting them with his Digicam. At a distance, I was sitting in the shade and talking with Satish & Bala. I was having his Camcorder. Just zoomed at them and clicking at them. Although there is no clarity, the picture looked good. Good contrast and a perfect timing.